Freshman Aaron Sabato homered twice and drove in four runs on Sunday at Boshamer Stadium to lead the 15th-ranked UNC baseball team to an 8-5 victory over the Miami Hurricanes–clinching the three-game series for the Tar Heels. In addition to Sabato’s power-hitting exploits, junior outfielder Dylan Harris also homered while going 3-for-5 at the plate and finishing just a triple shy of hitting for the cycle. UNC improved to 16-5 this season with a 2-4 record in ACC play with the win. Miami, meanwhile, fell to 15-5 overall and 3-3 in the ACC. 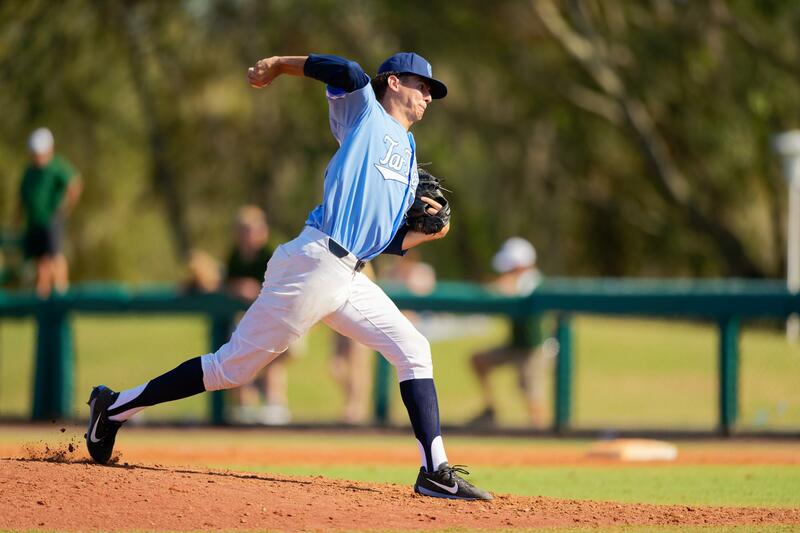 The Tar Heels head on the road to face Liberty on Tuesday, with first pitch set for 3:30 p.m.